At this page you will find the answers for level 1 – 30. Below these answers there are links to the other levels. They are all easy to find. Have fun solving your levels! 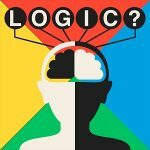 If you don’t have “Where is the Logic” installed then download it now! Get your answers on this site if you’re stuck!